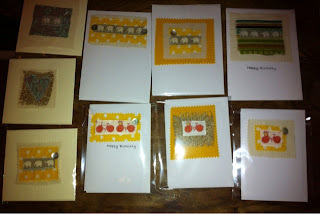 I have been busy increasing my stock of cards for Friday's craft fair. I have included some mother's day cards and hope to get some time to make Easter cards as well. 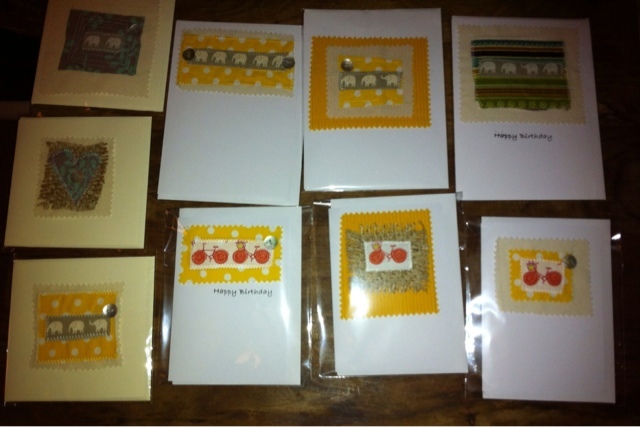 I love my new elephant parade fabric and bicycle fabric and pleased how they look on the cards. 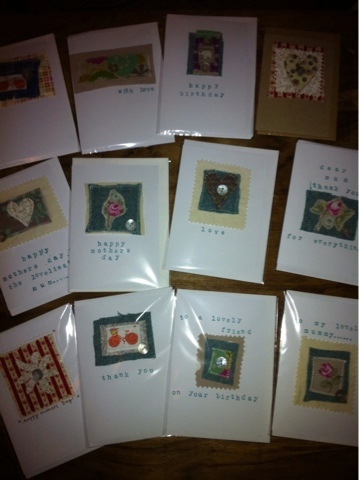 I am happy to make personalised cards if anyone would like them.